I am a big fan of 22 conversions and have a working Marvel but my Kart is less than stellar in the reliability department. Does anybody know "The Trick" to make them work or someone that has a good reputation for making them work?? I know there is a small tweak that makes them run because a friend of mine sent his to Don Nygord and it ran perfectly after $35 worth of work. Kart .22 conversions never got as popular as Marvel because they never were as reliable. Their quality of workmanship and accuracy are stellar, but malfunctions always plagued many of them. I had one that burped for the prior owner and for me. Just enough that it would kill you. I have a Marvel and an AA by Bob Marvel. No problem. I finally had the Kart running but sold it. In my case I went to a 5# Wolf recoil spring after using lighter Wolf and OLD Kart springs to no avail. It required "hotter" ammo with the heavier springs. 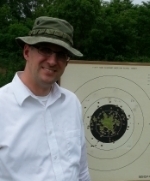 I used Aguila CMP in the black boxes rated @ 1200 fps. I have several of those Wolf springs if interested. My conversion fails to feed the second round of certain ammo reliably. actually almost 100 percent fail to feed with most ammo. The slide overrides the second round and hangs up about the middle of the case, the bullet has barely just started into the chamber. What is really interesting is the it functions 100 percent perfect with the old Remington ammo that was sold through the CMP last year, for about a weekend. I have some but not nearly enough. So I am having a hard determining whether its a magazine release point issue or a spring/feed ramp/chamber issue. I suppose it's a little of both? Ron, I was looking at springs so thanks for the offer. PM me the details. sounds like the slide is short stroking. I had similar problems with my marvel. Try a lighter hammer (main) spring AND a lighter recoil spring. I have had great luck getting the Kart / Dworak units to run. By the sound of what you're saying I'm guessing it's a main spring issue. To heavy a main spring causing a short stroke condition. Give me a call if you want and we can talk about it more. thanks guys. I pretty much have it figured out and it was a spring issue. which spring, and what did you have to change it to? a 1911 .45 though. I make up a Gallon of ED'S RED for that. I would send it to Dave Salyer. There are many tricks that can make the unit more reliable. It basically needs to be fitted to a dedicated lower. The lowers out today vary in tolerances that the Kart needs to be fitted individual.